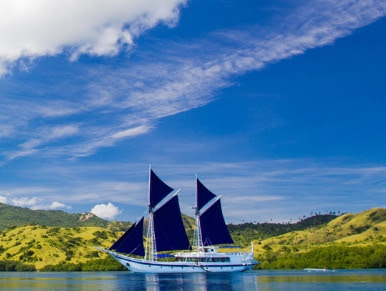 Small ship cruise expert AdventureSmith Explorations has engaged two ocean-going beauties for its new Sailing Indonesia: Bali, Komodo & Flores Cruise. 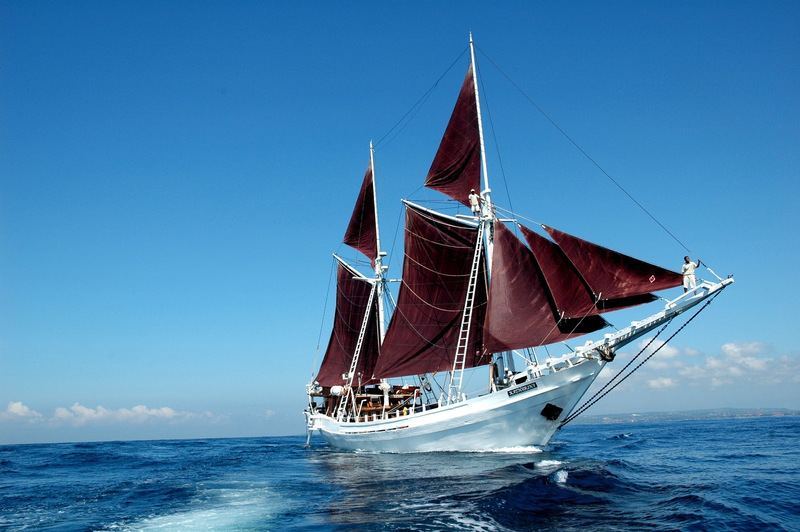 From now through mid-September, the nearly weekly departures of this seven-day cruise alternate between Katharina, a 14-guest, traditional Indonesian “Phinisi”, an elegant and speedy yacht built in 1995 of iron wood, and the 28-guest Ombak Putih, a traditional Indonesian schooner custom built from Iron wood by Buginese ship builders . Her keel was laid in Batulicin Kalimantan in 1995, and she became operational in 1997.